A variable south to southeast wind tested the 45 boats who competed in Autumn Pointscore Heats 5 & 6. 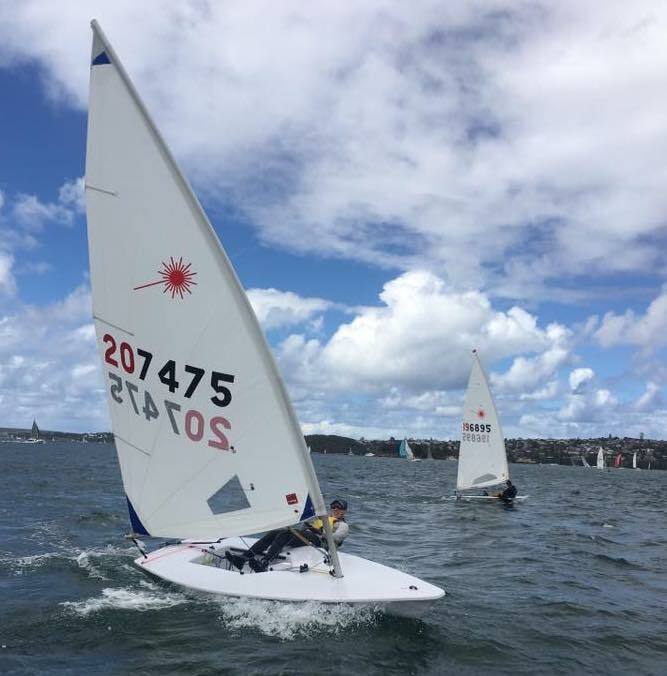 The breeze was shifty and fluctuated between 10 and 25 knots; adding to the challenge was a rare Double Bay Southerly course. All the elements combined to make it quite a fun and challenging day of racing. The winners were: Standards: Rod Barnes (heat 5) and Gerry Donohoe (heat 6); Radials: Jack Littlechild (heat 5) and Otto Henry (heat 6). Thanks to this week’s race volunteers — Daryl Lawrence (PRO) and Clare Alexander on the Jazzman, James Tudball and Niko Churkoski on the RIBs, and Jim Dounis in the canteen. For some excellent shots and videos from the day, check out Clare Alexander's collection on The Top Mark.